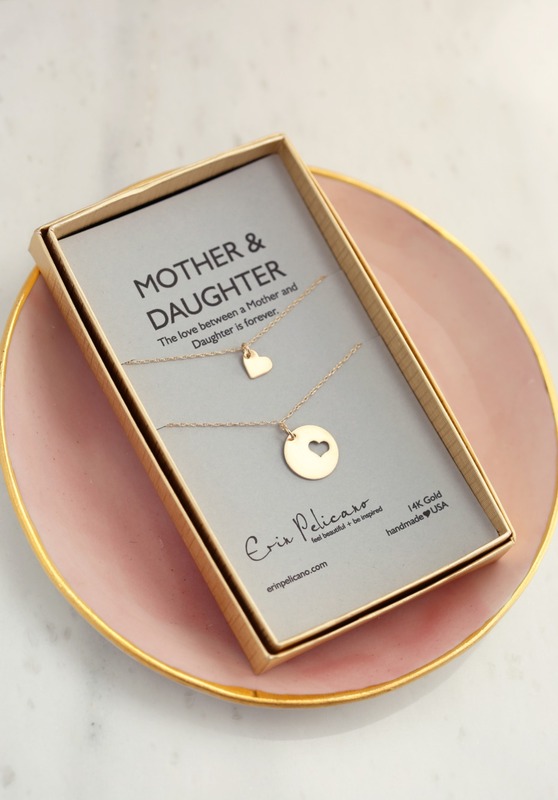 We spend sooooo much time thinking about our bridesmaids gifts, don’t we, but we reallllly should be pouring that time into picking something special out for mom, too. After all, without her, there’d be no you. And without your mother-in-law, there’d be no boo to say ‘I Do’ to! 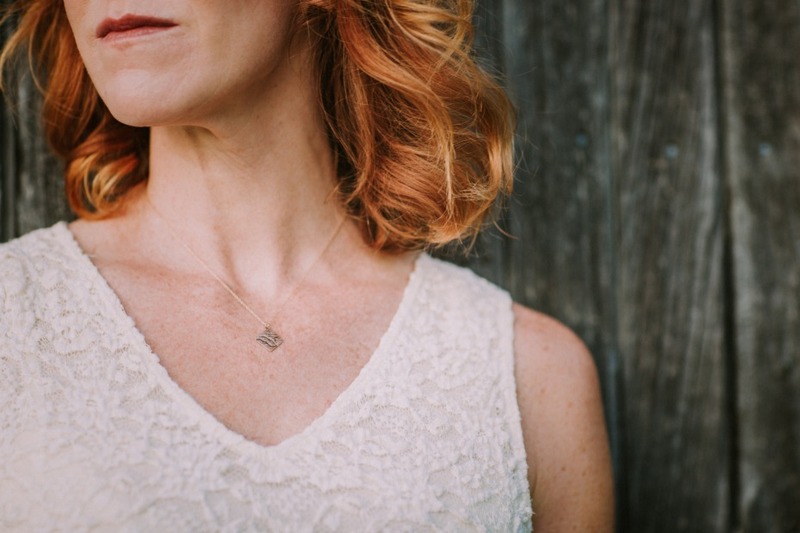 So when we heard one of our fave mamas, who also happens to be a genius jewelry designer, was launching #somethingnew for brides to gift their crew, we were thrilled. 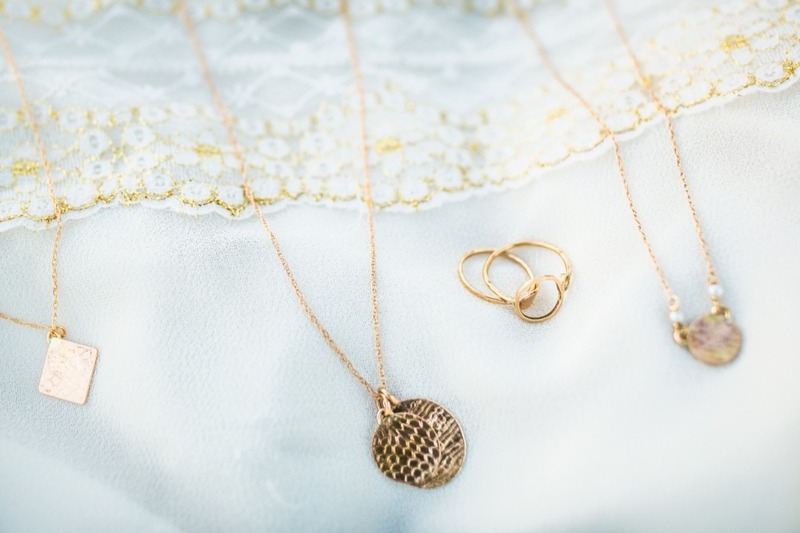 Erin Pelicano sponsored this post to share all the shiny details about her new heirloom jewelry collection. Before you even begin, just remember we’re not crying, you’re crying 😭😭😭. If you recall, a certain story about a bride who wore her grandmother’s 1960s gown to her wedding last year went TOTALLY viral. For obvious reasons, I mean. It was an amazing tribute to one of the most special women in her life, and it was done with so much love. 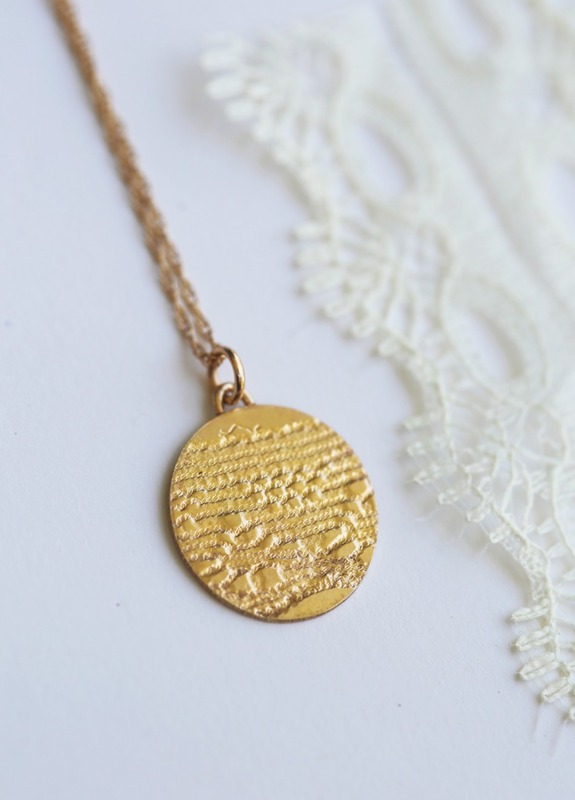 Well, Erin Pelicano’s new heirloom collection comes from the same heartfelt place. 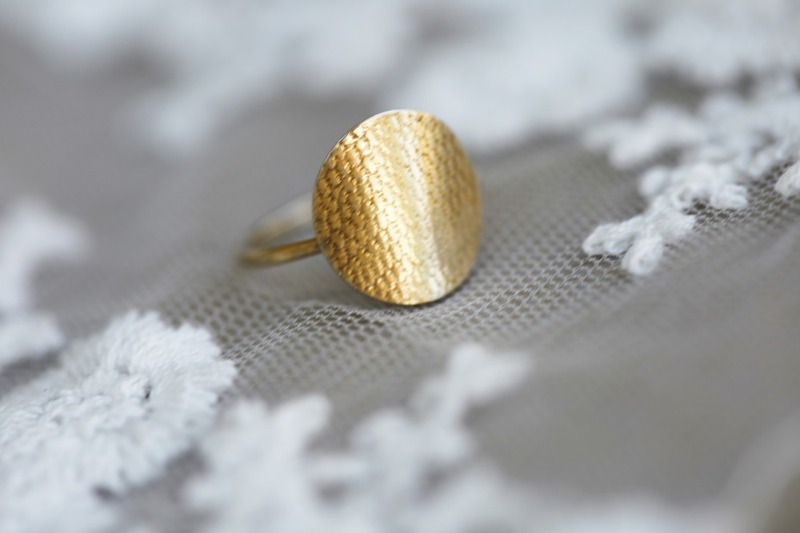 They are masterfully crafting keepsake jewelry from lace and veil fabrics. Creating rings, bracelets, necklaces, and even cuff link options for grooms ((dying over this, because this is probs the only way I’d be able to handle my baby boy getting married someday, giving him just a little piece of me to wear at his wedding)). These are treasures, complete treasures created from meaningful family fabrics. Now, I guess you might ask why we suggest this as a gift for the MOB or MOG and not the bride? She’ll be the one wearing the jewelry, right? Well, this is how we see it. Like the bride who blew her grandma’s mind by wearing her vintage wedding gown, there’s so much fun and sentimentality in the surprise that it actually feels like a true gift. So, it might take a little bit of sleuthing on your part to make the magic happen, but we guarantee your mom, new mom, OR grandma is going to L-O-V-E love you for it. Just make sure you know where their #somethingold is tucked away and follow the fabric swatch collection instructions that come from EP. You can always give your VIPs a heads up that you’re doing something top secret with their stuff, for the sake of your #somethingborrowed, but we like the surprise and delight factor a smidge more here. 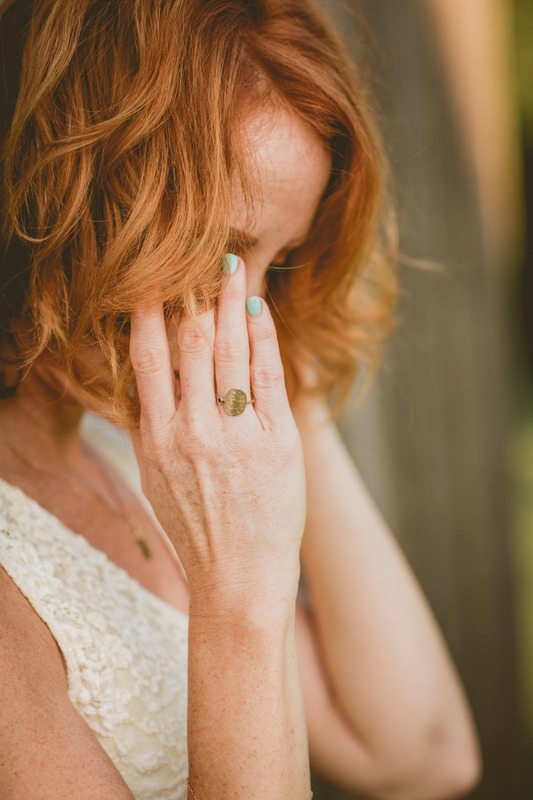 Asking mama or grandma to help you put on your wedding jewelry the morning of, and then when she says/they say “OMG, this is beautiful, where’d you get?” dropping that tiny detail that you got it from Erin Pelicano, but the gift itself has bits of THEIR past built in. Totally your call, but doesn’t this sound epic? And sure! Mom can do it too, gifting her girl with a piece of her own lace or veil crafted into a lifelong, treasured piece for their daughter. Or the Mother-of-the-Groom going all out to make sure her son can wear pieces of her gown in his wedding day cuff links. The idea is merely to share a cherished moment and create a new legacy before the wedding day starts and a new future begins. My parents are divorced, so I don’t think my mom has a particular fondness for her dress anymore. That being said, I definitely can’t wait to give my sister the idea to use a piece of her own wedding gown to gift my mama with a perfectly-unique pendant (even if it's not on her wedding day, but a little later on). I don’t think the tears would stop… Really. The jewelry is stunning, too, so artful and so wearable. And the lace earrings, c’mon! What bride wouldn’t want to rock a pair of lacy studs down the aisle? Lacy studs at 15% off sound good, too, right? Enter “CHICKS” at checkout to score 15% off your entire order + free U.S. domestic shipping now through 7/31. Whatever way you go, this heirloom collection is 🙌. So good, that we ALMOST forgot how amazing the rest of Erin Pelicano’s Mother Daughter collection was. 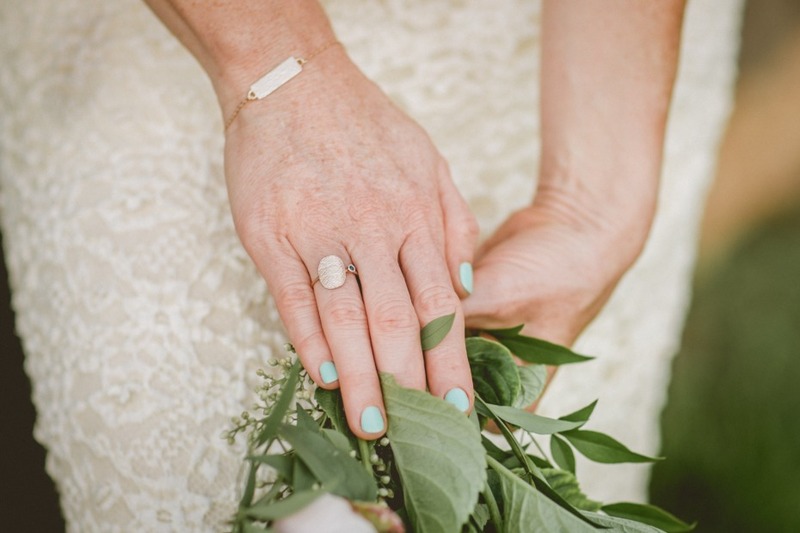 Almost, we said almost…..
We partnered with Erin Pelicano to give brides and their mamas (whether by birth, by marriage, etc.) a gift idea guaranteed to bring ALL the tears. As always, thank you for supporting our sponsors!